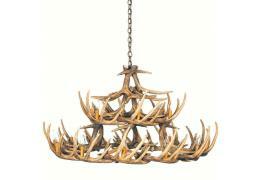 Large, Made in the USA, measures 42" wide and 26" tall, weighs just 16 lbs. 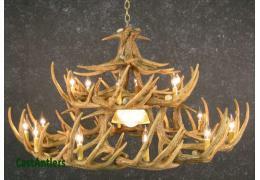 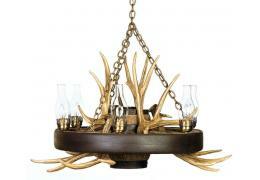 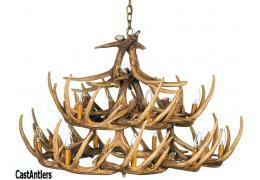 Chandelier has o..
Large, Made in the USA, measures an impressive 50" wide and 27" tall, weighs just 18 lbs. 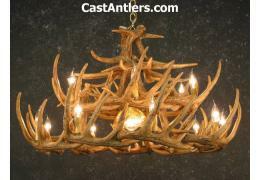 ..
Large, Made in the USA, measures 50" wide and 27" tall, weighs just 18 lbs. 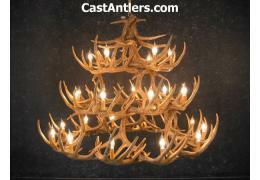 Chandelier has o..
Large, Made in the USA, measures an impressive 50" wide and 42" tall with three tiers, weighs 40 l..
Dimensions: W 39" x H 28" Fifteen light chandelier featuring faux leather shades Requires ..